Enjoy this collection of two story floor plans. Most of these quality floor plans can be customized to your personal preference. Don't be afraid to ask about adding, removing or changing the design, size of bedrooms, bathrooms and just about any other room. These floor plans are just a starting point of what modular construction process can design and deliver for you. 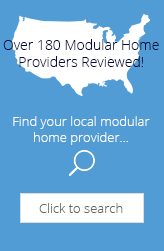 Modular Today is an independent reviewer of modular homes and commercial prefab buildings. All logos, trademarks and brand names that appear on ModularToday.com are the exclusive property of their respective owners and are not property of Modular Today. These modular home floorplans are provided courtesy of modular home builders.